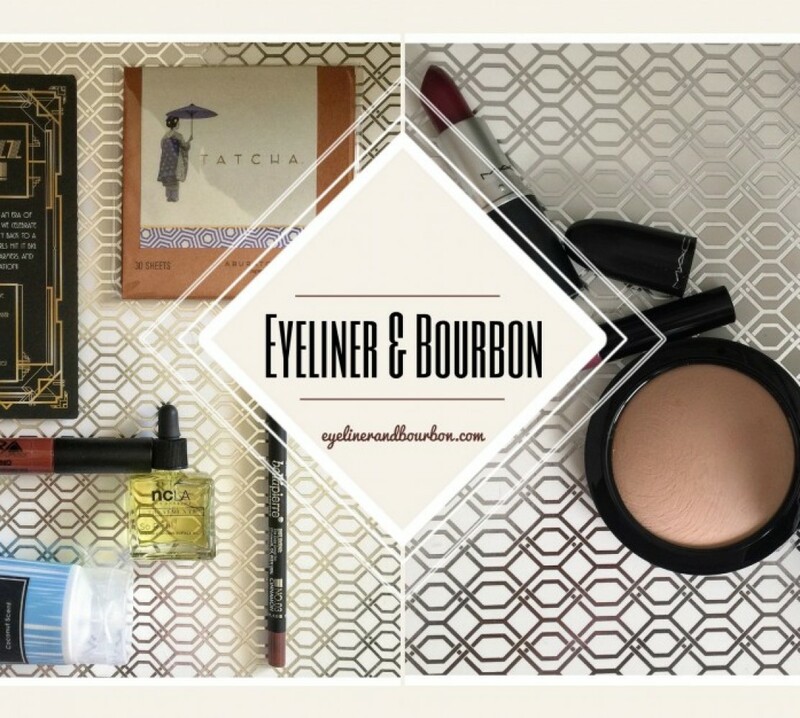 Today, I have a round up of Favorite Things of the last few weeks. I wasn’t trying to have the theme, it just happened. 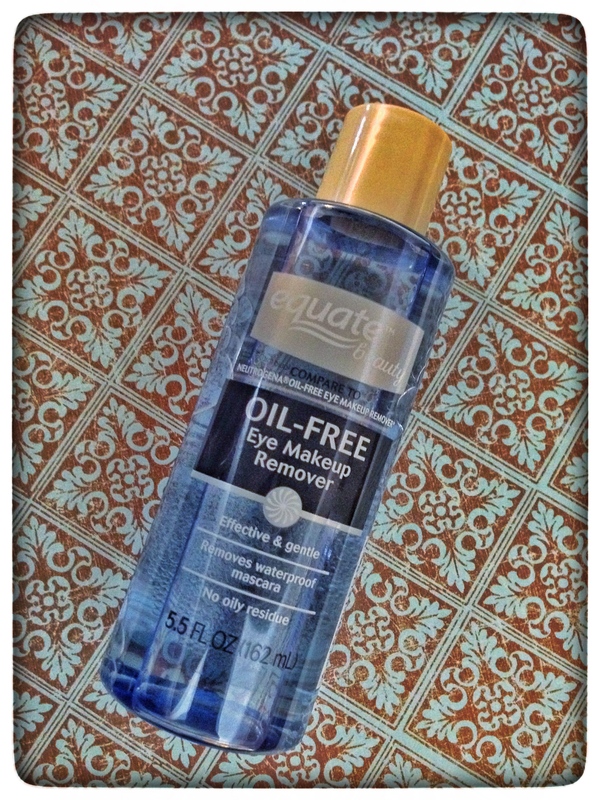 Equate Oil-Free Eye Makeup Remover – File this find under: Mom know Best! A couple of years ago, I found this in my mom’s medicine cabinet. 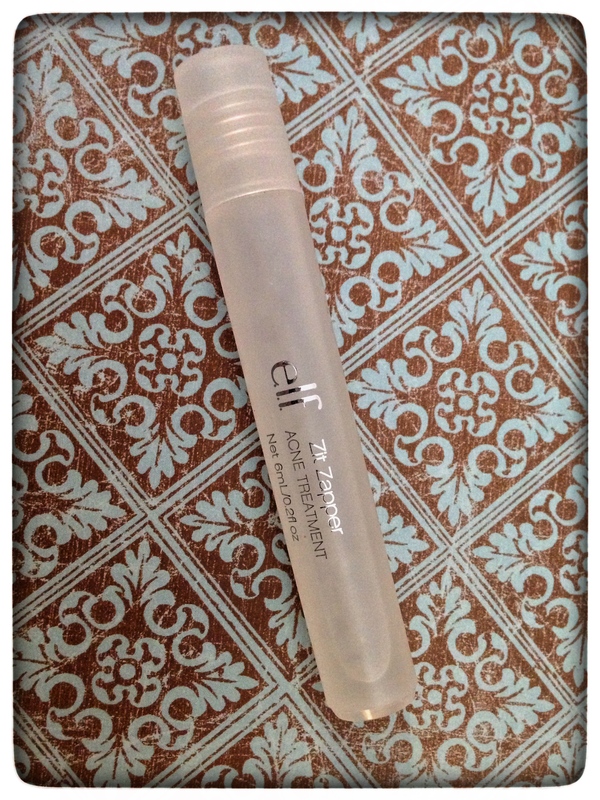 This eye makeup remover rocks the hizzouse! 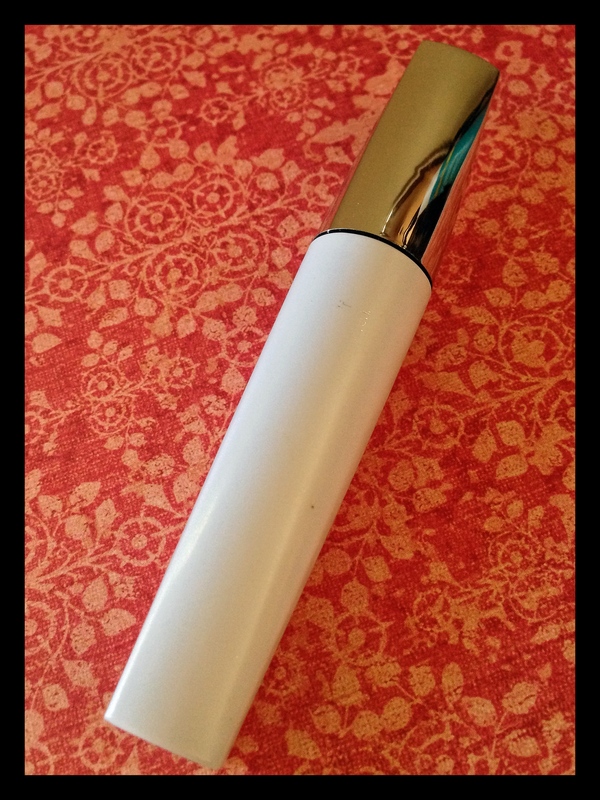 It removes Benefite Push-Up Liner without even thinking about. I know that no matter how much eyeliner and mascara I pile on, it’s ok. It all will be dissolved and cleaned away without any fuss. We have pretty sensitive eyes, this ish doesn’t sting at all!This is a dupe for Neutrogena. Neutrogena is a dupe for Lancome’s Eye Makeup Remover. (You know the one, it’s a 100 point Sephora gift right now.) The Lancome one is $39.00 for 6.8 ounces. Neutrogena is about $7 for 5.5 ounces. This Equate one from Wal*Mart is $3.97 for 5.5 oz. There’s no question. I have been thru 3 bottles over the years. I know my mom has been through several bottles. This is a HG item. 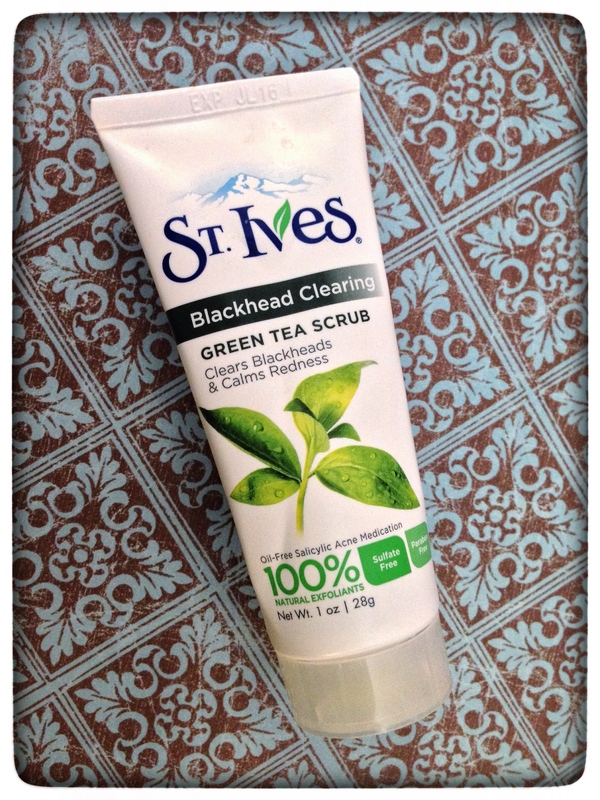 St. Ives Blackhead Clearing Green Tea Scrub – Another find from KathleenLights from YouTube. I use this in the shower. It’s gentle. It feels good. It makes my skin feel clean and soft. I really think that this is helping with blackheads (in conjunction with the Atzec Healing Clay Mask). The scent is minimal and clean. I got the travel size at Target. I’ll be going back for the full size. I’ve been having issues with strange allergic reatcions to things. This has not bothered me once! 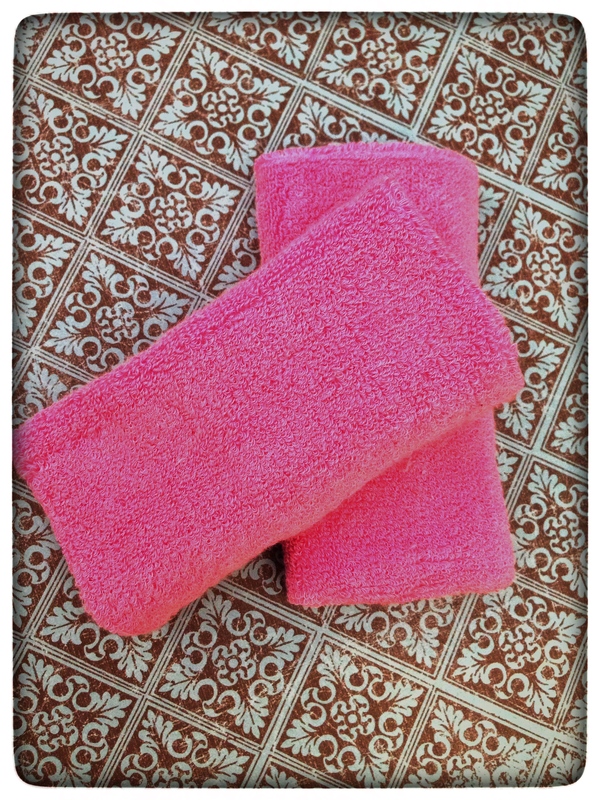 Pink Sweatbands – You are probably wondering why these are on a beauty favorites blog, right? I have a secret. I hate washing my face. I hate the water dripping down my arms. I HATE IT! I had an Ahhhh-Haaaa moment last week. Sweatbands! This is a game changer for me. Done and Done! The Collection by Chesapeake Bay Candle in Blood Orange – I have a favorite VoluSpa Candle in the scent Goji Tarocco Orange….. and it’s a special occasion burn, since it’s a pricer candle. 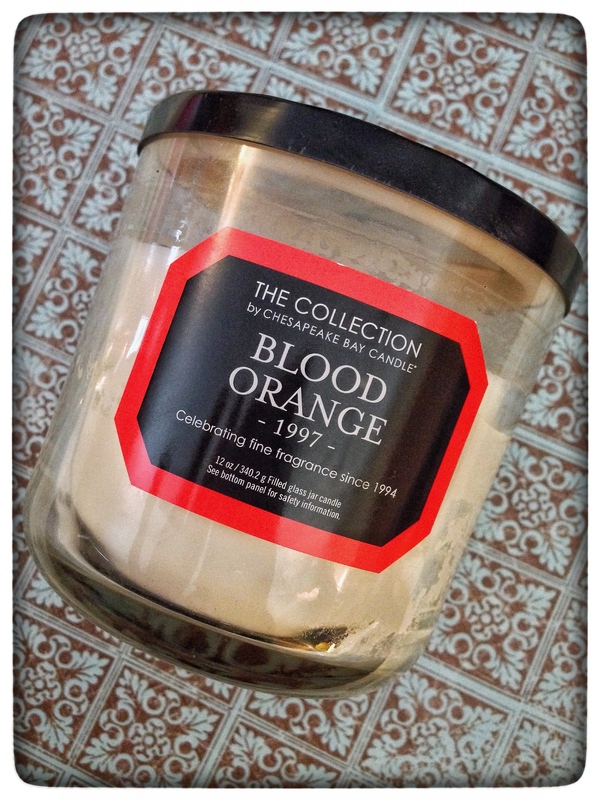 This Blood Orange candle has some of the same scent notes. It’s almost the same cost as my tiny fancy candle but 4 times the size. It’s normally $12.99. I got it on sale for about $10 something and used by RedCard. This candle can be burned in Summer… it’s such and bright and clean scent. Full of citrus goodness. 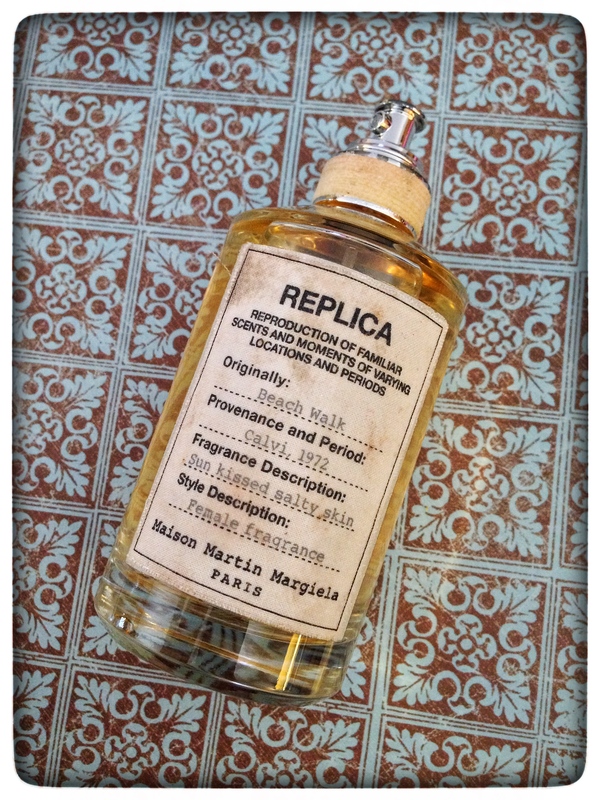 Replica Beach Walk by Masion Martin Margiela – YoungWildandPolished on YouTube talked about this. And this was a splurge. This perfume makes me smile. It smells like my early summers in Maine and hanging out at our pool in my teens. It’s the best Coppertine coconutty goodness, salt air, somehow clean air and sun. I’ve been a little obsessed with this, spraying randomly around my house….. and on me. If you want to smell like summer, go smell it at Sephora. To try it out you can get a rollerball. I found my big bottle on eBay, cuz dood it’s tres cher, mon ami! Here are the notes: Bergamot, Pink Pepper, Lemon, Ylang Ylang, Coconut Milk, Heliotrope, Musk, Cedarwood, Benzoin. Did you figure out the theme? Clean. For some reason clean smells and skin cleaning things have been on my radar. What have been your favorites? Let me know! Here’s a quick Favorites Blog. Some products that I just so happy that I found. Jesse’s Girl Eyeliner. It’s not a felt tip. It’s a brush. I love this stuff. It’s black and precise. Long lasting. Smooth. Good for a beginner and more experienced peeps. You can easily vary the line thickness. I’ve heard this is a dupe for Kat Von D’s Tattoo Liner. The difference is about $12.00. This liner is about $7.00 and I’m sure you can find an online coupon. I bought mine online. This mascara creates voluptuous lashes that are full and defined. The vitamin B&E enriched formula conditions lashes, and the silicone brush effortlessly combs through lashes, coating them evenly for a rich finish. 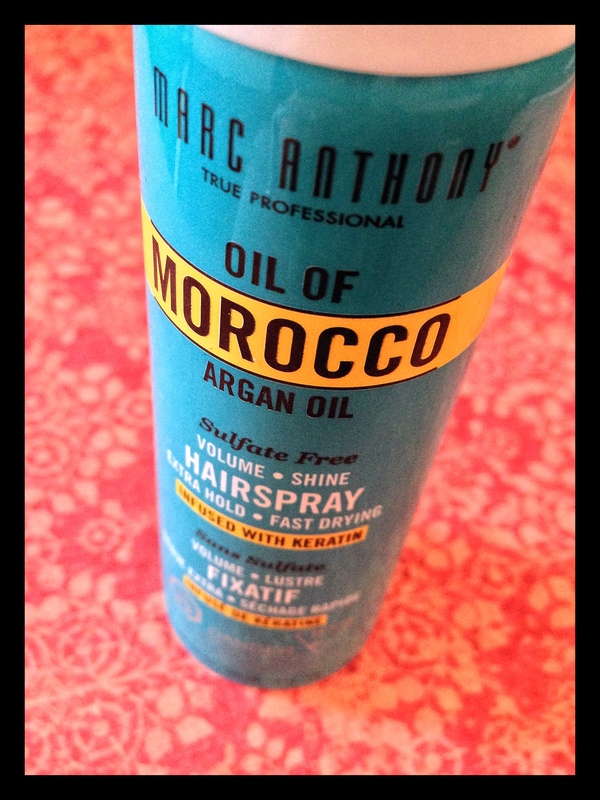 Marc Anothny’s Oil of Morocco Argan Oil Hairspray. Okay, I’m a Child of 90’s Mall Hair. I think the pictures from my high school yearbook are flammable. Seriously, HOLY HAIRSPRAY, BATMAN! For years, I’ve avoided hairspray, except for special occasions. A couple months ago, I received this in my Ipsy Bag. Gave it the ol’ college try. I loved it. Makes my hair SHINE! Don’t be fooled be it’s softness.. it holds. Helps with volume. If you love the CRUNCH, this is not for you. Oh.. the smell! Wrongish (here on WordPress!) and I had been trying to figure out the smell. The Boyfriend called it… PLUMS! So pretty. The big can is about $8.00, there still might be a coupon left on coupons.com for several dollars off. The non-water based, fast drying formula creates volume and hold without stickiness or flaking and its flexible finish creates workable styles for easy re-styling without crunch or heavy build-up. It creates a luminous finish and shields against humidity for longer lasting styles. Sun Protectors keep the sun and other elements from damaging your full bodied mane. When you buy Argan Oil products for your hair you’re getting one of the best natural resources for healthy looking hair. 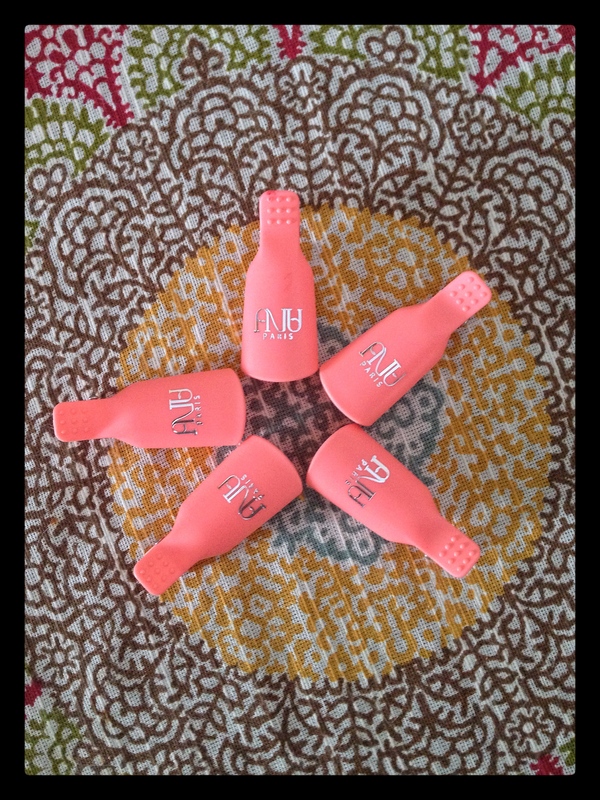 What more could you want from a hairspray! 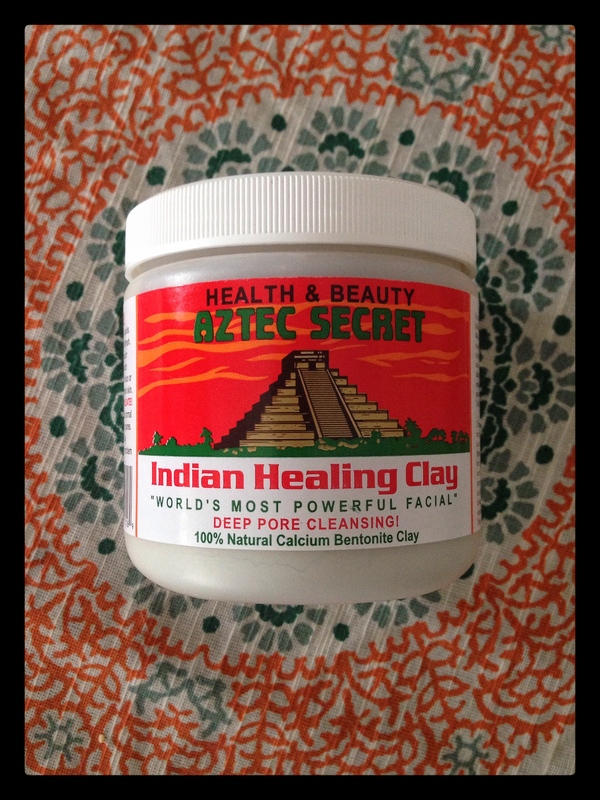 Aztec Secret Indian Healing Clay Mask- This stuff! I first heard about it from Kathleen Lights on YouTube. It’s pretty dang amazing. It can be mixed with water or apple cider vinegar. I mix it with ACV, slather it all over my face and then watch some Hart of Dixie, Australia’s Next Top Model or some SuperNatural…. It can take a bit to dry, but that’s a-okay! When they says it makes you face pulsate… they ain’t kidding. Very strange sensation, but I kinda dig it. Don’t be alarmed when you take it off and your face is the shade of a tomato.. this will calm down after a couple few minutes. After using this my face GLOWS! I might like it even more than GlamGlow YouthMud. What shocked me was the price. It’s less than $5 for A POUND! 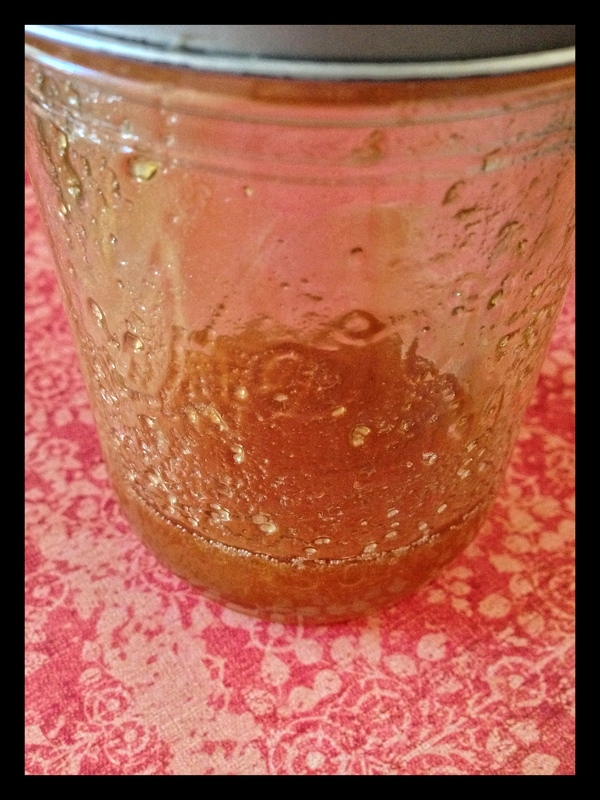 Mix clay with equal parts of raw apple cider vinegar and/or water. Use a non-metal bowl and utensil. Stir the mixture into a smooth paste. Add more clay or liquid as needed. Apply 1/4 in. to 1/2 to the face or other area. Let it dry for 5-10 min. for delicate skin and 15-20 min for normal skin. You will feel a pulling and tightening sensation. Feel Your Face Pulsate! Remove clay by washing with warm water. Slight redness of the skin is normal and will disappear in about 30 minutes. Removes impurities and dirt from the pores. I got mine at VitaCost. Their shipping prices are amazing! Here’s what they say, “Within the contiguous U.S., FREE standard shipping is available for orders of $49 or more, while orders under $49 ship for a flat rate of $4.99. And you only need to spend $25 on Vitacost brand products and these select brands to qualify for FREE standard shipping.” Oh, and if you order before 1pm, it could arrive the next day (depending where you live)! 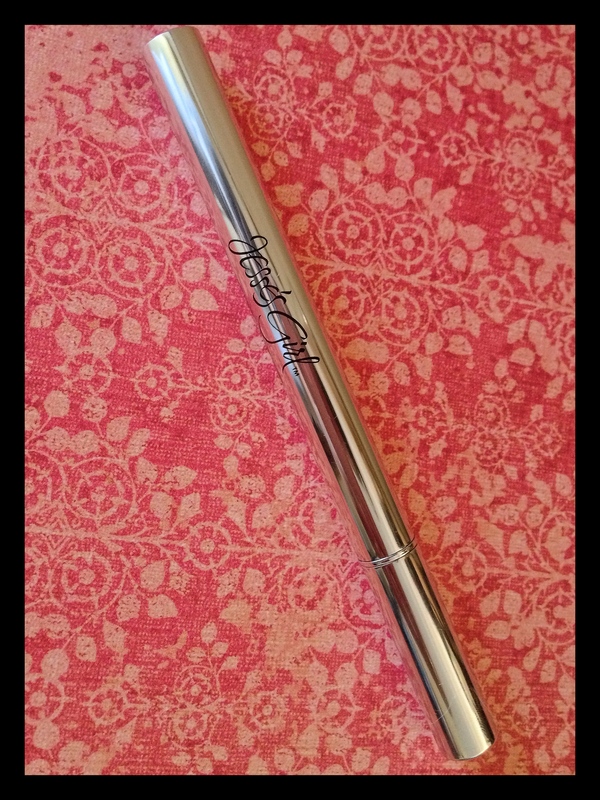 Real Techniques Make up Brush- I started watching the sisters of PixiWoo on YouTube about a year or so ago. They are just amazing. When I found out they had their own brushes, I hightailed it to Ulta. 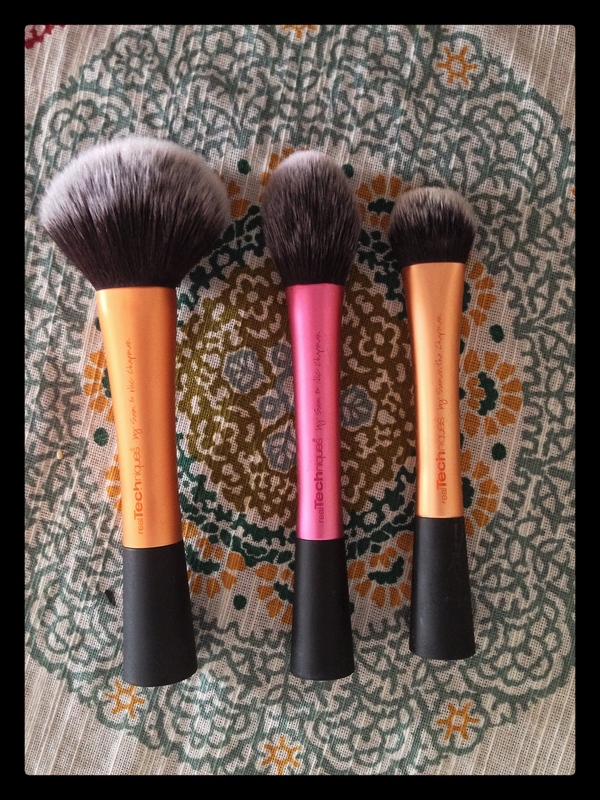 I first picked up the smaller orange one in the picture, the Expert Face Brush. I use it for all kinds of foundation and concealer. 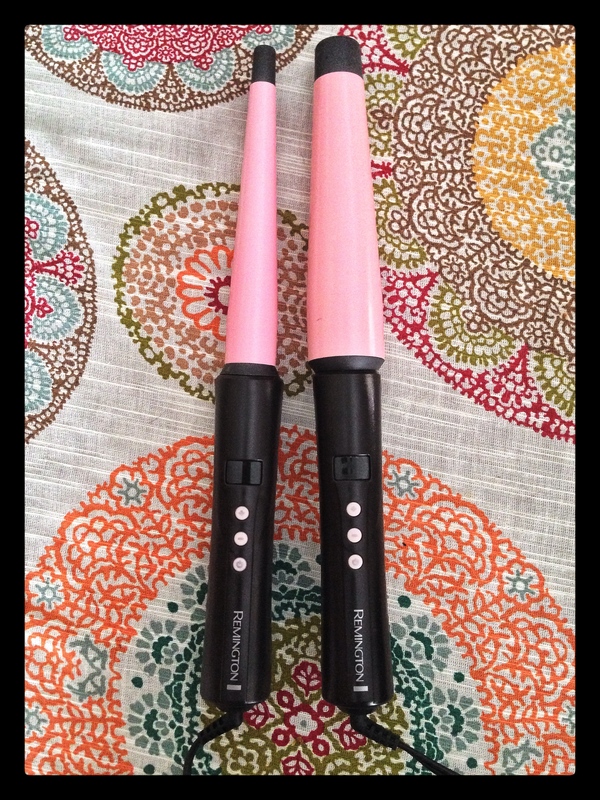 The pink one is the Blush Brush. I’ve used it for blush, bronzer and subtle contouring. The big orange one is the Powder Brush. 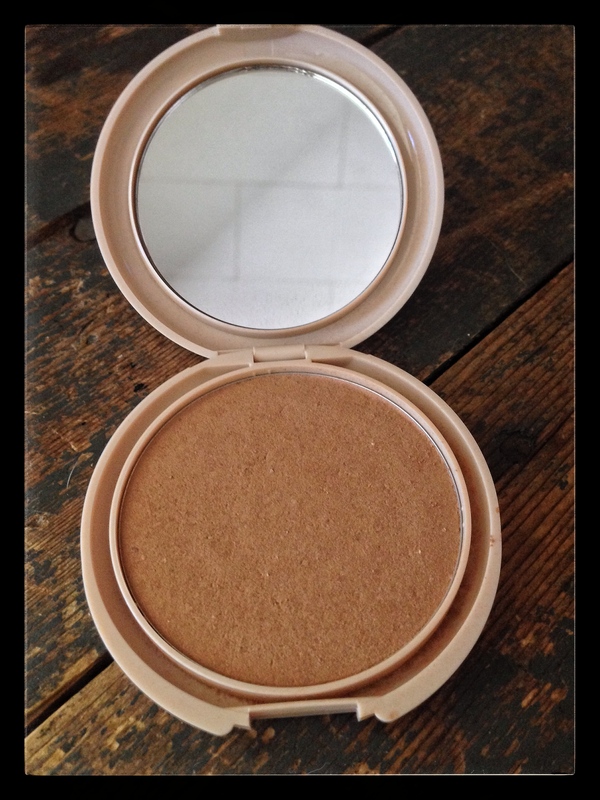 I use it with the Verona Mattifying Powder from my August’s Favorites and Mineral Veils. I also have the kit with the eye brushes. These brushes are my favorite brushes. They are soft, easy to clean, easy to hold and apply makeup flawlessly. Also, they are pretty easy on the wallet. So go grab your Ulta coupons and try them out! Gel Polish Removal Clamps- I got these on eBay. Such a time saver. Put acetone on a piece of cotton land and clamp…. wait. No trying to fiddle with tin foil. You also get a better saturation on the actual nail with these. 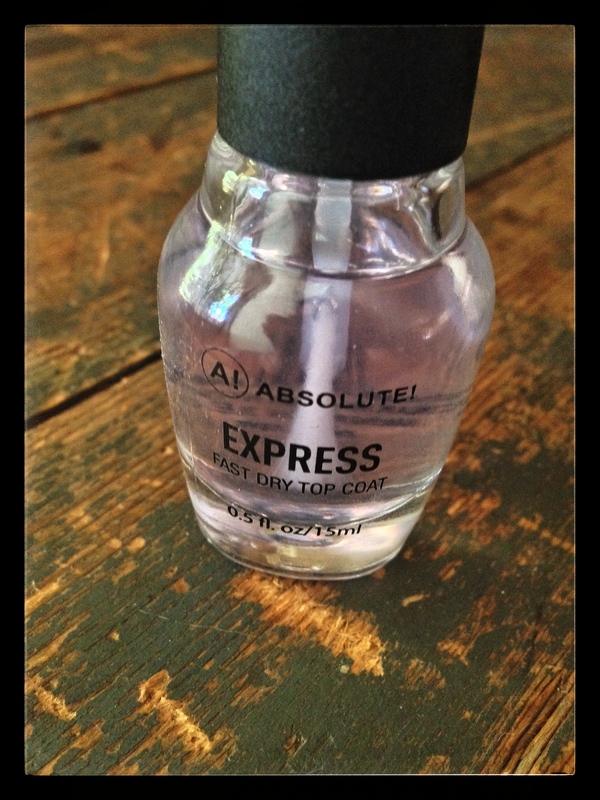 Also, they are great for removing glitter polishes. 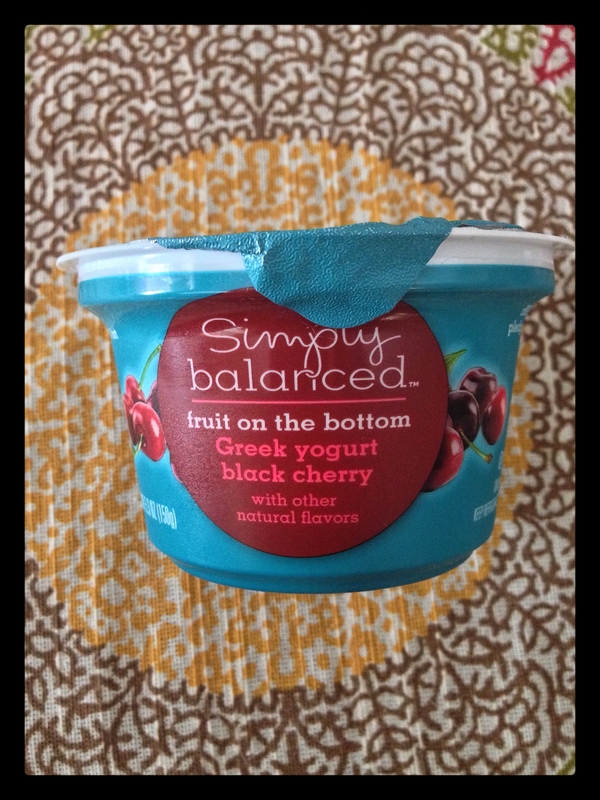 Simply Balanced Greek Yogurt– You can find these little tubs of tastiness at Target. They come in several flavors. Black cherry is my favorite with Blueberry a close second. Cheaper than most yogurt cups at 87 cents.. and with your Target Red Card they are 83 cents! If you love yogurt like me, you have to try them! There you go.. my Rocktober Favorites! What are some of yours? Hello My Fellow Goo Lovers! Is it really the end of August!? This year seems to be speeding along at a furious pace. It is the end of August and I have a few of my favorites to share with y’all. Let’s start with nails, shall we? This color!! I didn’t think I would love it as much as I do. I like fun colors, but greens don’t really suit me. The company is Mundial Impala and the color is Beleza Natural. I took a few coats to become opaque. The color reminds me of a this Fiat, but a tad darker. It’s like deeper Fall version of all the pastel blues and greens that have been so on trend this year. I’ve had it on for about 4 days over uv gel polish and no chips. That’s my favorite way to wear traditional polish.. over gel. If I don’t polish will chip in hours. Over gel, it can last longer than a week. I have several other colors from this brand and I really like them. This top coat!! It’s from Abolute!, which is a Nicka K company. I found it at TJMaxx for for $3. It’s bloodly brilliant. It works. It’s shiny. What else can I say? It seems dries your polish completely in mere minutes! The last day of Cosmoprof I picked up a random bag from this company. I have never heard of them, I think they are Russian (not sure). I’m in love with this mattifying powder. 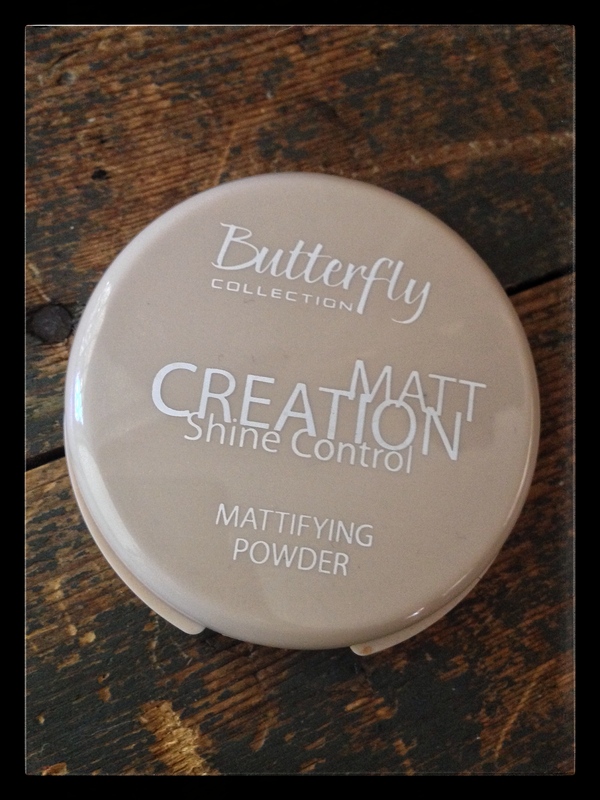 It’s called Matt Creation Shine Control from Verona’s Butterfly Collection. I’m simply in lurve with this stuff (but I repeat myself!). I use a huge fluffy brush after I’ve finished with my makeup and I’m shine free with NO powdery or cakey finish…. for HOURS! Even without makeup it helps to seemingly make your skin better looking. You don’t need a lot either. I haven’t read this blurb until now and YES! I needed a heavy duty toner. 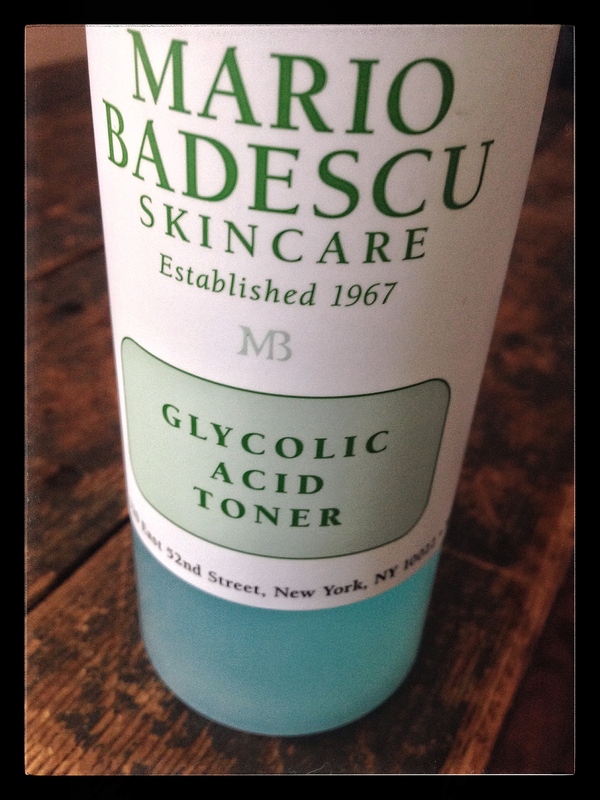 Enter in Mario Badescu’s Glycolic Acid Toner. I’ll confess, I’ve only began even thinking about removing my make-up before going to bed. Genetics have smiled upon me, I have decent skin. It’s making up for my teenage years. I like this one. It took a bit for my skin to adjust to it, though. It’s strong and I only use it a couple times a week. I’ve used several different products from them. The Rosewater Facial Spray makes me happy happy. IT’S ROSES! Even though it’s Summer here on The Left Coast my skin has been strangely dry. Not ABQ dry, but dry nonetheless. 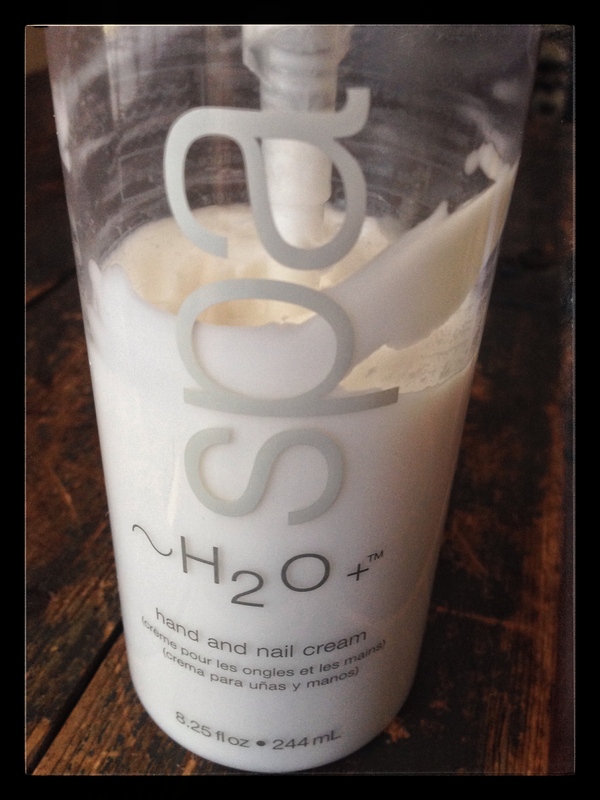 H2O Plus’s Hand and Nail Cream has been my favorite for almost 12 years. I picked this one up at Marshall’s for $6. I just checked the site and there seems to have been a packaging change. I really hope that it’s the same stuff. It’s different than most lotions. It feeeeeels goooooood. It’s hard to explain it just doesn’t feel like everything out there. Never greasy, absorbs almost immediately. I can use it and with in a minute use my iPhone. This thing lives on my night stand and I use it all over. And the smell is clean. It also comes it unscented. Last but not least my Bargains of the Month! 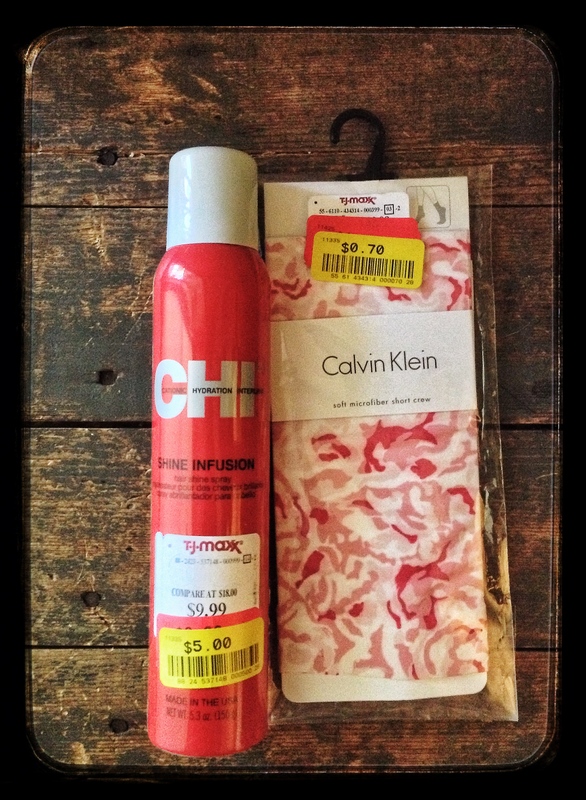 Chi Shine Infusion Spray and a pair of Calvin Klein socks. The shine spray was $5 and is just what I was looking for. I’m pretty sure I saw it in a Nicole Guerriero video. Go watch her, she FANTASTIC! I’ve got ombre bleached and colored hair…. this stuff does wonders. And the socks were 70 cents.. and they’re ROSES! There you go, folks! What have been some of your favorite things this month?